Do you have a cervical disc herniation? Does your cervical disc herniation cause pain in your neck that refers down to your shoulder or arm? Are looking for the best exercises that can help your cervical disc herniation ? In this issue of Bodi Empowerment I go over the causes of cervical disc herniations, what’s happening in your neck when you have a cervical disc herniation, symptoms for all the different cervical disc herniations, then I go over the exercises you need to help your neck get better. Why Do I A Cervical Disc Herniation? So how did you get this cervical disc herniation? Three key areas are genetics, posture and trauma. With genetics I am referring to the genes passed down from your parents. Some of you have discs that are stronger more resilient to cervical disc herniations. Some of you aren’t so fortunate like the rest of us. Trauma such as car accidents or falls on the head can cause an immediate cervical disc herniation or if you had a milder trauma that didn’t require immediate treatment but pain later on, you can cause enough damage that accelerates that wear and tear that eventually leads to cervical disc herniations. Keeping proper posture keeps your discs happy. 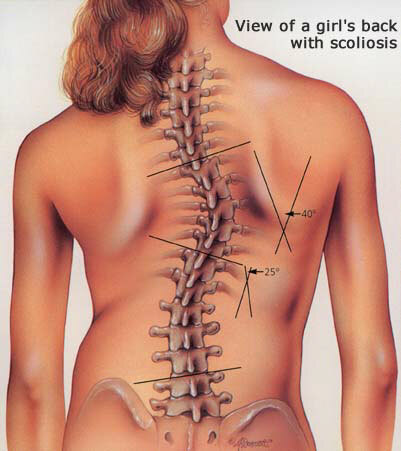 What I mean is when you have proper posture, the normal curves of the spine are maintained. 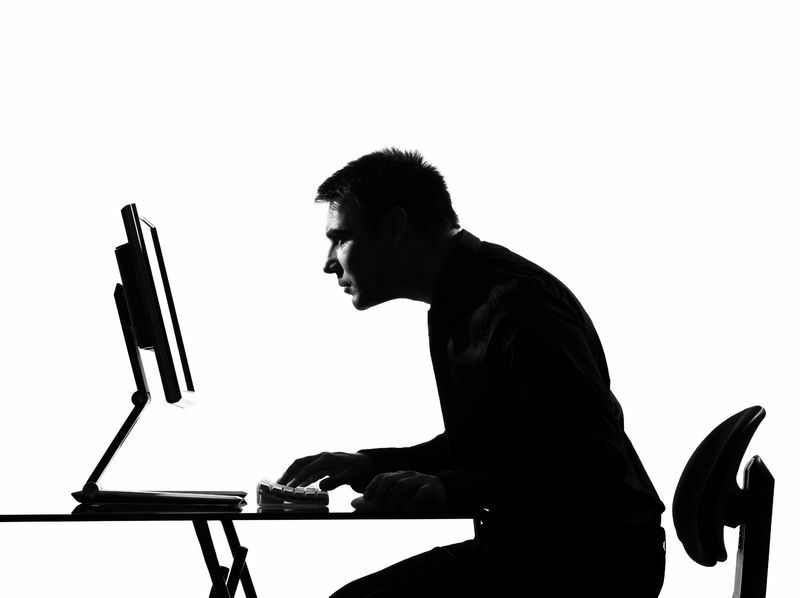 Slouching posture brings your head and neck forward. This puts more pressure on the front of the disc. Slouched posture basically pinches the front of the disc. Your forward posture pinches the front of the disc is like pinching the front of a jelly doughnut. If you push hard enough or long enought the jelly eventually comes out. To understand how this happens lets go over the stages of a cervical disc herniation. Why Does Cervical Disc Herniation Happen? Your disc has two basic parts. The nucleus and annulus. The nucleus and annulus is akin to an flat onion with jelly in it. (better analogy than jelly doughnut) The jelly is the nucleus and the onion part is the annulus with many circular layers. By slouching forward you are putting pressure at the front of the disc mainly the annulus (onion) so it eventually starts to bulge the onion at the back by pushing the nucleus (jelly) backwards. A disc bulge is wide and like pushing on the front of a balloon. It simply get larger at the back of the balloon. 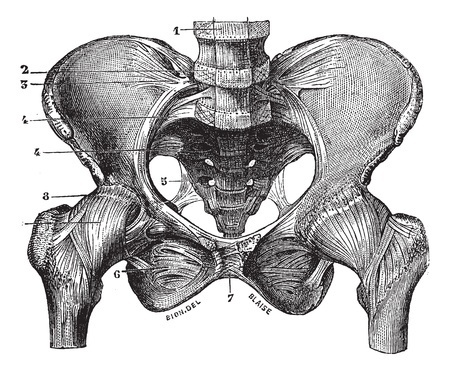 This is called a disc bulge. For most of you there is no pain but for some of you there can be considerable neck pain and even radiating pain down the shoulder and arm from this small disc bulge. 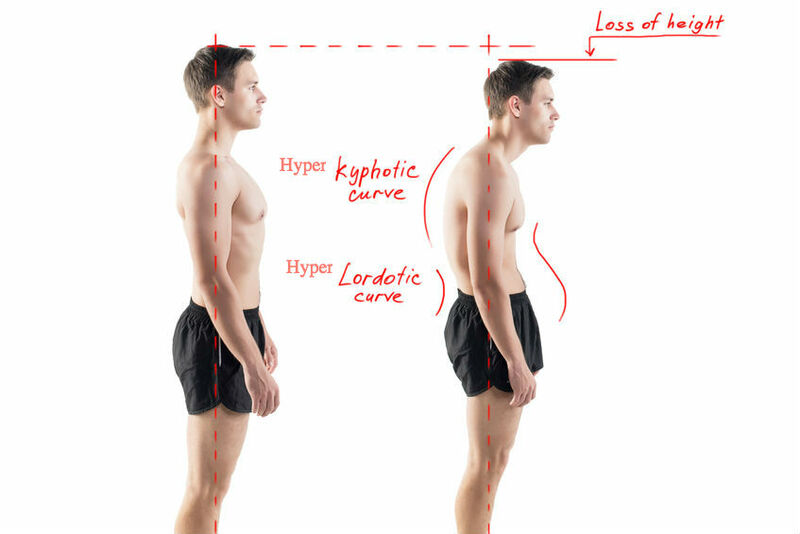 My experience shows me that a lot of people with neck pain that hurts at the end of all movements especially backwards and have a moderate to severe forward head posture often have a disc bulge. A disc protrusion is like a disc bulge that comes out in one focused spot. The disc pushes out as if you had your finger inside a balloon and pushed out. Most of the layers of the onion (annulus) have been damaged but the jelly (nucleus) is under considerable pressure. The jelly (nucleus) squeezes through the layers of the annulus (onion) with the few intact layers of the onion (annulus) and a the PLL (posterior longitudinal ligament) holding the jelly from spilling out. The disc is still contained by the annulus and PLL ligament. ie the balloon hasn’t popped. Cervical Disc Protrusions usually cause quite a bit of neck pain and often times pain down the arm. Many of you, with disc protrusions, on the other hand, have absolutely no pain. The trick is not to let your doctor diagnose you based on just a MRI. 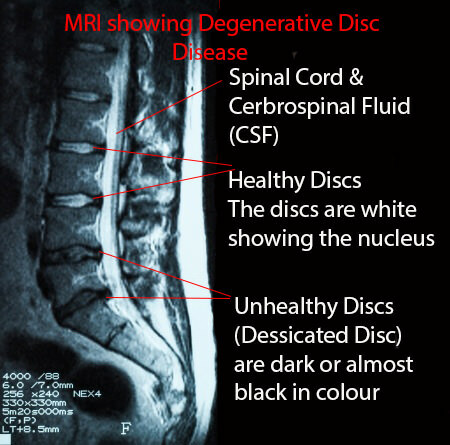 An MRI that shows a disc protrusion by itself is not a diagnosis. It’s what a normal person with no pain can have. Make sure there is other evidence! Disc Extrusion is a bulge so large that it breaks through the last layers of the onion (annulus) and the PLL ligament pushing into the area of the spinal cord and your nerves that branch from the spinal cord called nerve roots. ie. The balloon has popped. If you have an extrusion you likely have a tremendous amount of neck and arm pain that may radiate to your hand. When you have a disc extrusion chances are the extrusion is likely causing your pain as it’s so large. So the definition of a cervical disc herniation is when your nucleus has broken through all the protective layers of the annulus and popped right out. A disc sequestration occurs when a piece of your jelly (nucleus) that breaks through the onion (annulus) and the PLL ligament has now broken off and moved away further into the spinal cord area. When you have a disc sequestration you have a tremendous amount neck pain and usually pain down the shoulder, upper arm and forearm down to the fingers. Still, there are a small amount of people with disc sequestrations with no pain. 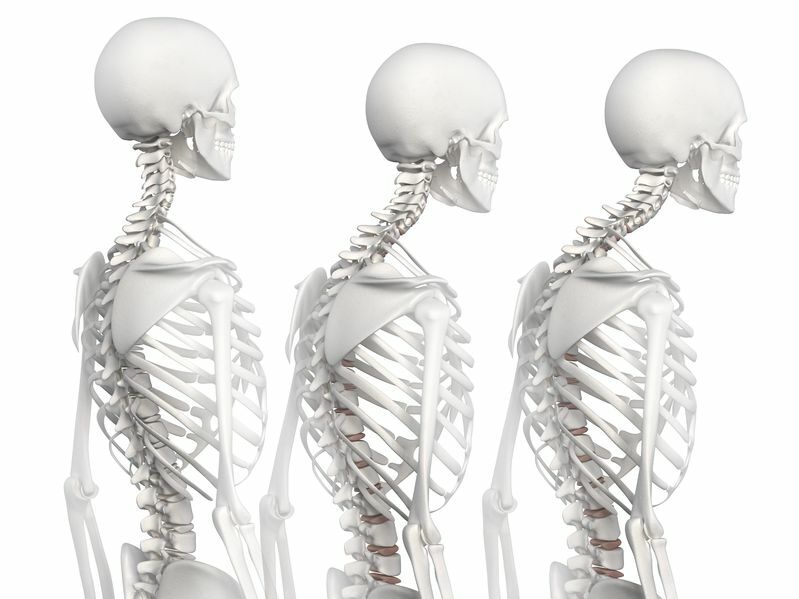 To understand your neck you should understand what vertebrae your doctor is talking about. Cervical spine is talking about your neck portion of your spine. There are seven vertebrae in the cervical spine. Short form for “cervical” is C. Since there are seven vertebrae We number them C1 just underneath your skull followed by C2, C3,C4,C5,C6 and finally C7 at the base of your spine. 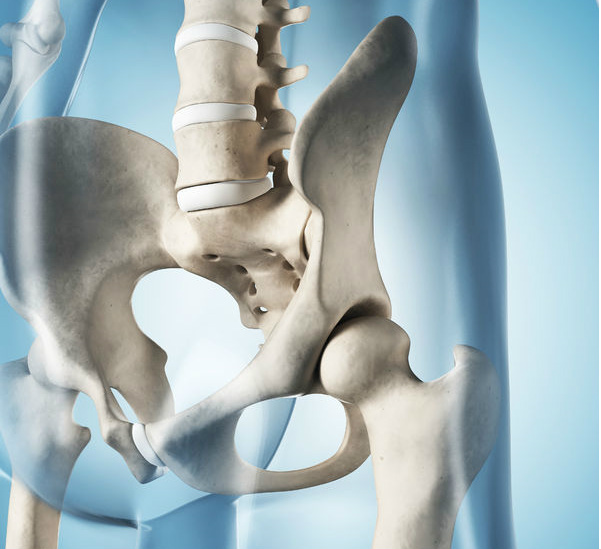 Here are some common symptoms that you may have when you herniate a disc at a specific spot. Some people are wired differently so of you may not feel these exact symptoms. 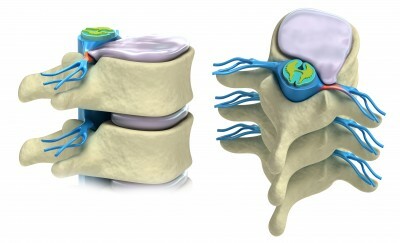 C01 Disc Herniation: There is not disc at this level to herniate. C12 Disc Herniation: There is no disc at this level to herniate. C34 Disc Herniation: C4 Nerve Pinched. You will likely feel pain in the neck only. C45 Disc Herniation: C5 Nerve Pinched. Usually you can feel pain in the neck that can radiate down to the base of the neck and sometimes down to the shoulder. 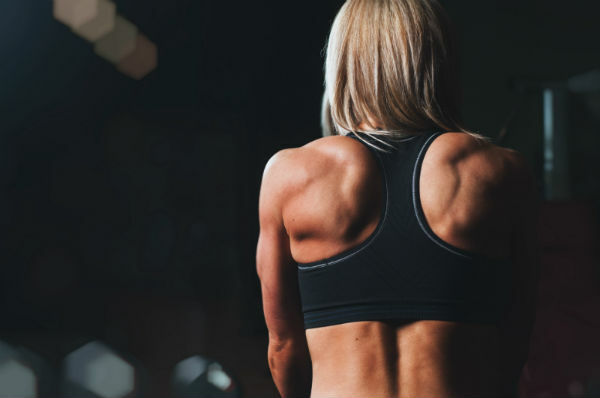 Your deltoid muscle might be weak and tight. C56 Disc Herniation: C6 Nerve Pinched. One of the most common disc herniations. You feel pain or numbness / tingling that radiates from the neck down to shoulder, upper arm to your thumb. Weakness and tightness in the muscles the allow your wrist to extend or bend backwards. Your biceps might get extra tight and weak. Commonly misdiagnosed as a shoulder problem or tennis elbow. C67 Disc Herniation: C7 Nerve Pinched. 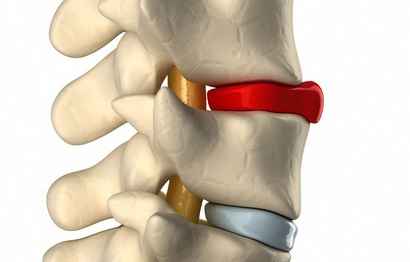 One of the most common disc herniations. You will feel pain or numbness and tingling from the bottom of your neck down the shoulder to the back of the upper arm and possibly down to your middle finger. Your triceps might get extra tight and weak. C7T1 Disc Herniation: C8 pinched nerve: Pain, numbness and tingling that radiates down the neck to the baby finger. Can make cause stiffness and weakness in your grip. With these exercises keep in mind if you have numbness and you now having tingling. This means there is less pressure on the nerve. You are actually getting better so you should continue with the exercises. Tuck your chin in and very slightly down. Do this 10 times per session every 2 hours if you have cervical spine pain. Sit down and do a double chin as above. Lift your chin to look up going as far as you can . Keep going as far as you can for 4-5 nods. Do this 10 times per session every 2 hours for your cervical disc herniation. I’m a 32 male and need your help with some clarity on numbness on my left thumb which has been apparent for near a month now. It seems to be caused not sure but near the time I started to lift weightsagain that might have cause a pinched nerve on my left side near shoulder and neck. This has caused slight pain on my left arm and pain when sleeping on the left side. Occasionally I feel tingly or nerve sensation radiating from my shoulder to my arm down to my left thumb. I also feel randomly wth movement a sharp quick nerve feeling pain on my left shoulder. The pain is not unbearable but it’s more the constant numb tip of the left thumb that is bothering me for weeks. Do you know if this exercise or other exercise can help and will the thumb numbness go away with time? Wondering what I can do to improve the thumb numbness. THIS IS A GOOD WEBSITE you’ve hit. Dr Nakamura has really good exercises and sensible advice. 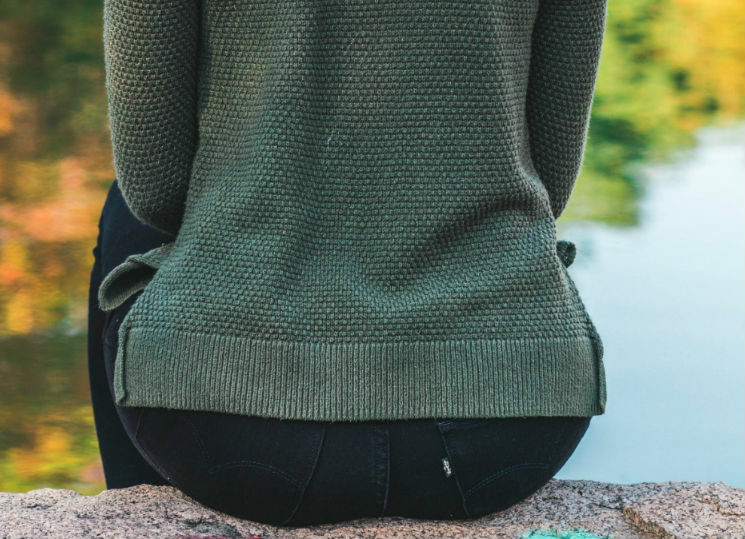 There are plenty of hit and miss websites on Neurological Herniation and Pain Disorders so take time to read about the issue you have and ask questions that can help you to do something positive today. 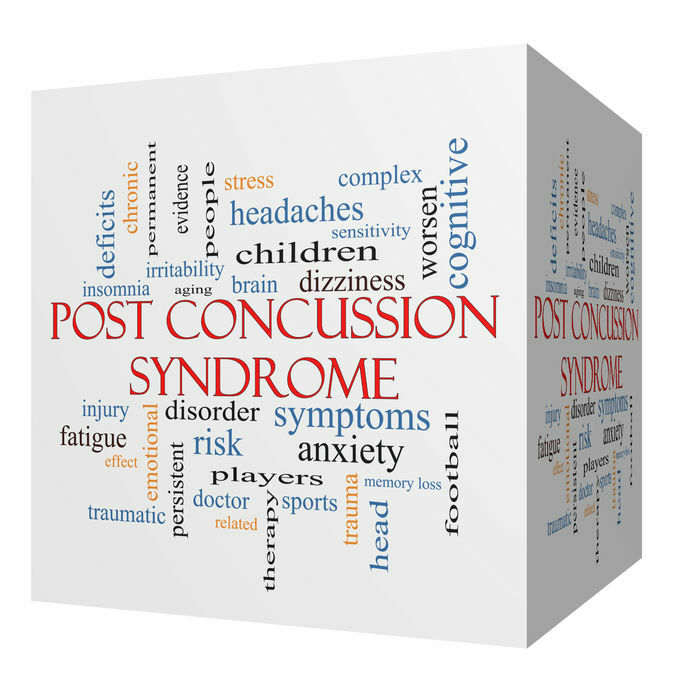 Noting if you want help a diagnosis needs to know more than what the issue is but also about what you do in routine that may be a cause or compression injury result of or accident or self inflicted ? And contain CT report of Cor T or L number and relevant information so as to explain some story to help you action appropriate needs. 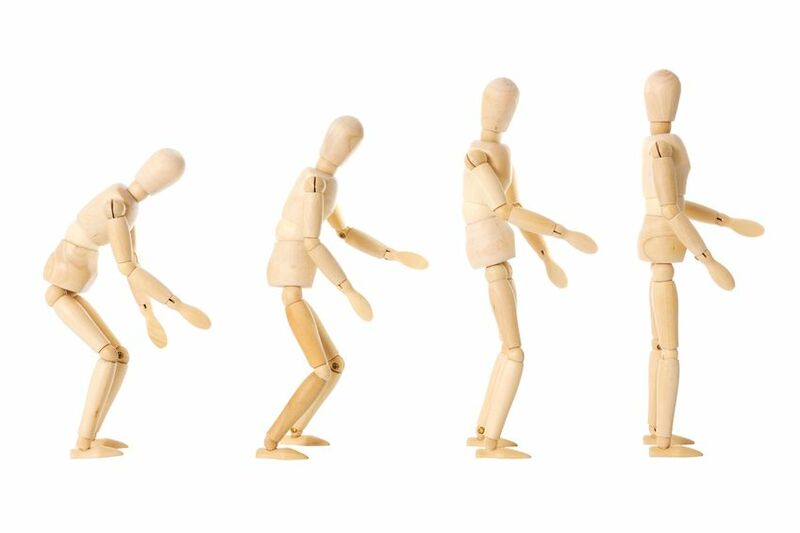 There is not a specific process for recovery because human lifestyle has a big part in how you action methods of exercise, routine and work related ergonomics. Thanks for your comment Deciun. Thanks for your question Vinh. Do the first exercises while lying down 6-8 times a day. Then report back to me your follow up. Hope that helps your cervical disc herniation. Hi Vinh I have exactly your same symptoms and it also started after I started lifting weights. Please do let me know what remedy you used. 1. look at what causes are contributing to pain e.g you habits and unconscious processes. 2 change or discard habitual sabotage of proper exercises and lifestyle methods. 3. You create you pain, therefore you can fix or reduce this condition but don’t expect it to be easy. 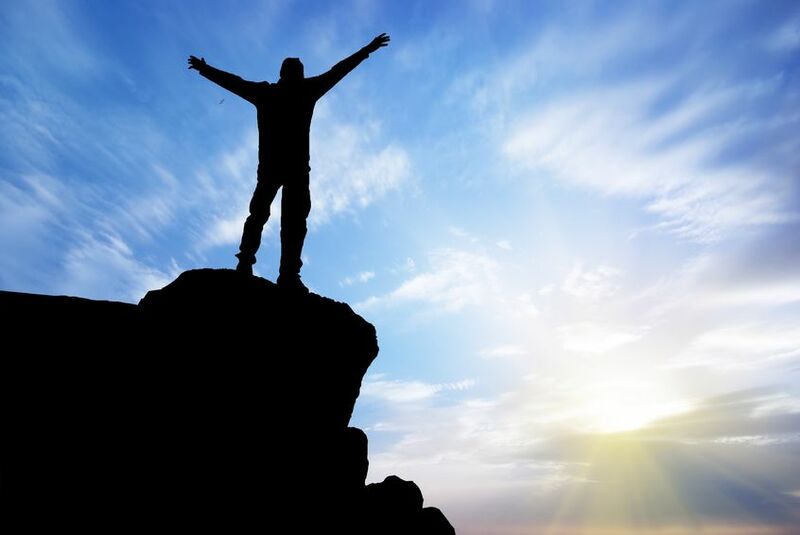 It is a lifestyle process that you may not be accepting or acknowledging that you need to overcome. Pain is both mental and physical and you must learn to pay attention to your life wellbeing. 4. do exercises consistently both at work,mat home and wherever. 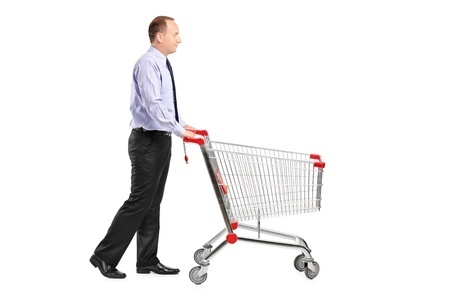 Use resources – books or file can be weights or bodyweight resistance exercises. Look on youtube for proper physio neck and back videos – Don’t ask for advice that is not assessable because your lifestyle is associated with the cause of you condition. Only you can fix that. 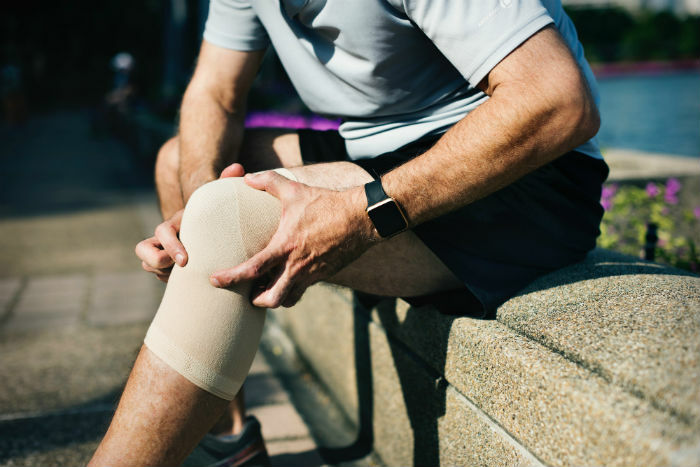 You have to find ways to stop abusing yourself and make adjustments to you current routine to improve the physical degradation of joint and muscle problems. Surgery is not a fix. It will not improve your lifestyle. 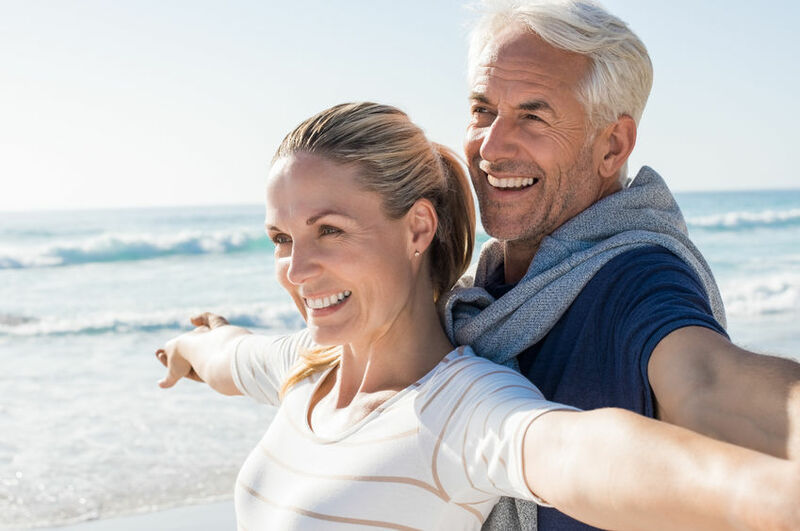 It will change your lifestyle in ways that you just don’t want to know about and it may prove unsuccessful leading to extensive pain treatment and permanent nerve damage of your spine.on’t ever compromise your life for a lifestyle change that disregards health. 7. 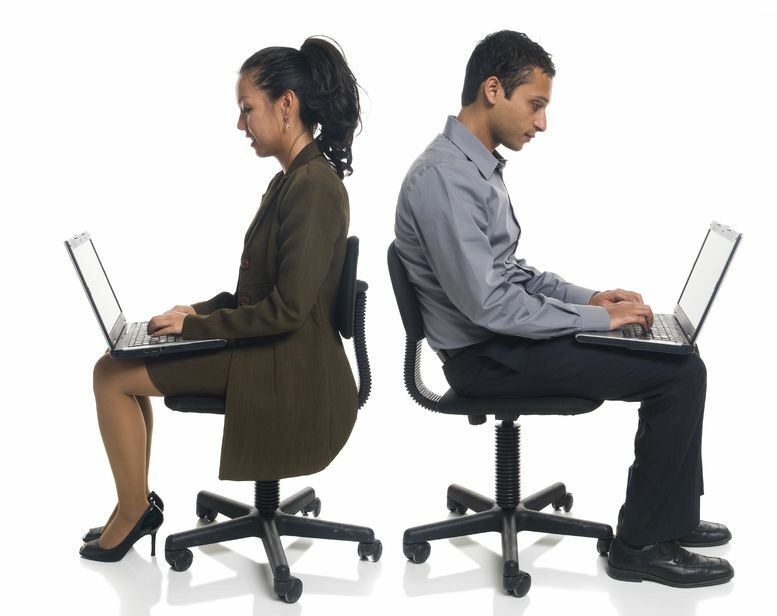 You may have to adjust how you work – standing and sitting at computer – look at ergonomics of your work routine and at home and whatever you are doing around home that is associated to your posture including lifting, carrying and other manual processes. Even look at your bed mattress- it should be stable and flat not curves or squishy. Your pillow should be 1 to 2 inches less the width of your shoulder to spine. 8 do a meditation course it helps with pain management – seriously very useful with resistance exercise or yoga or pilates but you must first have a plan that is being monitored by a professional in back and neck expertise. Not a surgeon. 9 Do it for your own sake because there’s a stack of lazy people who are basically out of control asking ask for real advice but don’t want to do the hard work expecting it to be easy. RECOVERY is easy when you learn to do things properly and stop abusing yourself. Deciun you should figure out who I am before writing negative things about chiropractic. I am writing these opinions to help everybody as a chiropractor. Think about it. Thanks for your comment Sumi. You are saying that you really don’t want an operation and your life including holding the baby and your computer work aggravates the problem. Let me just say that here in Toronto I only know a handful of people in my 22 years that needed surgery. You may be one of the few but that actually need surgery. I would recommend that you go back to the physio again and do the traction. Only if things don’t work after doing at least 6 weeks of therapy do you need to even think about surgery? Hope that helps your cervical disc herniation. If you have any more questions for this downtown Toronto chiropractor let me know. Thank you so much sir I took traction and few exercises now I am 80% fine my pain occurs daily when I do work on computer for long period . But this is not a big issue I am happy that I can do many of my works easily. Can you suggest me works does and don’t. As I have to work at home and office both places with small baby. So I will take precautions while doing my work and one more thing should I wear neck collar white working in bending position at home or computer. Sir one more thing I always have left hand shoulder pain when I hold Mobile for few minutes. Thanks for your question Sumi. 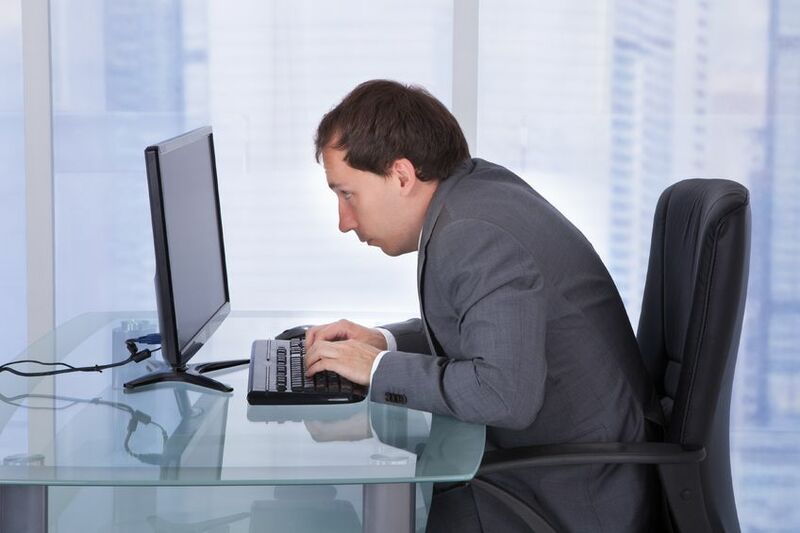 You should have proper posture by using a lumbar support roll and tucking your chin in instead of bending your neck forwards or sticking your chin out so much. You should also do some of the exercises in this article as long as they don’t make you worse. If the pain is further down the into the arm and less in the neck it is getting worse and you should stop the exercises. I don’t know what “btucites” are neither does the internet. The above is an opinion and not a recommendation. If you are looking for a recommendation then you should see a professional for that. Hope that helps. If you have any more questions I would be happy to answer your questions regarding your cervical disc herniation the best I can. 1. The MRI study shows altered curvature normal alignment. 2. 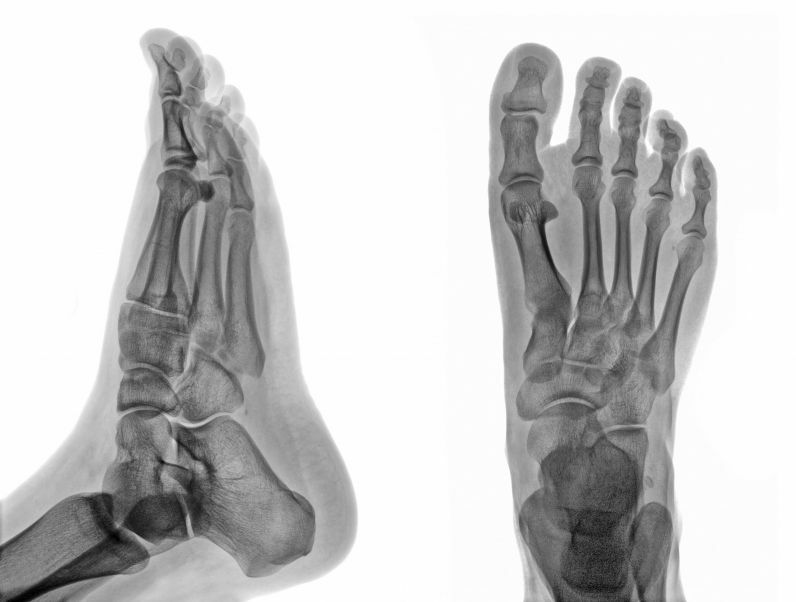 C5 body shows reduced height with edplate irregularity and marginal osteophytes. 3. Multiple intervertebral disc show dark singal on T2 wtd images. Thanks for your question Gajendra. While it can be the disc causing your symptoms it is possible that there is another cause of the symptoms are not typical. I cannot help you. Good luck with your possible cervical disc herniation. Rest Rest and lots of rest. No lifting weights minimum 1 kg / 2lb in each hand maximum for at least 3 months. get a bed that os super flat a semi hard. hence you need to sleep on your back use pillows or cushions to stop you rolling to sides. don’t sleep on stomach. Care with lumar use hence pressure. You can practice core exercises lying on floor or mat. Dead weight lifting from prone position only fo4r arms / shoulders. Walking exercise standing upright – observe horizon plane with eyesight straight ahead – not common posture fo4 walking because it feels like you will fall backwards – you won’t. That is all your exercise for at least till you show your herniation has reduced. You can ice pack your discs but do this spaced at 20 minute intervals with 5 minutes ice time. Its a little unpleasant but it reduces inflammation and is better than anti-inflammatories. Buy a few ice packs so you can rotate their use for freezer. i’m giving you this info because i had 3 herniated discs all in lumbar that I was able to recover from. You must look after yourself and be very careful because 1 stupid act can undo a months work. 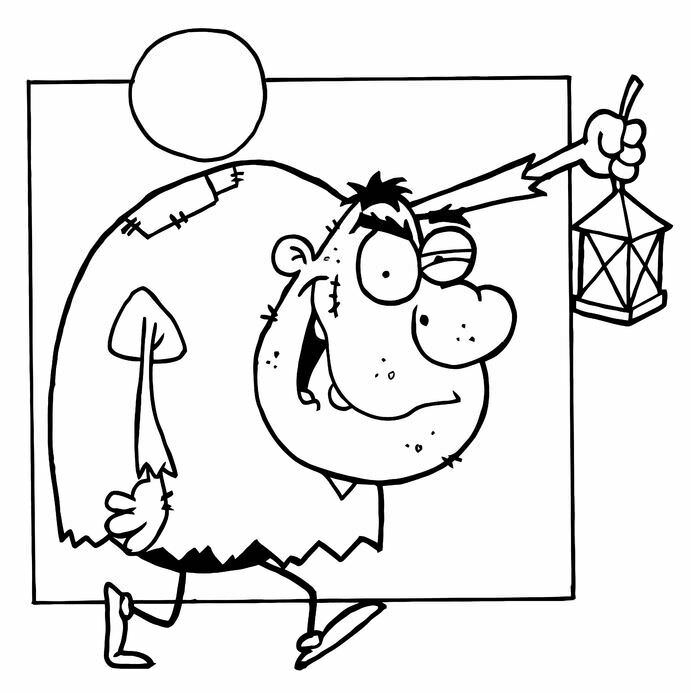 The process is slow and you might have to find something to preoccupy you mental processes. Suggest watching youtube but maybe even get yourself some video games to play. 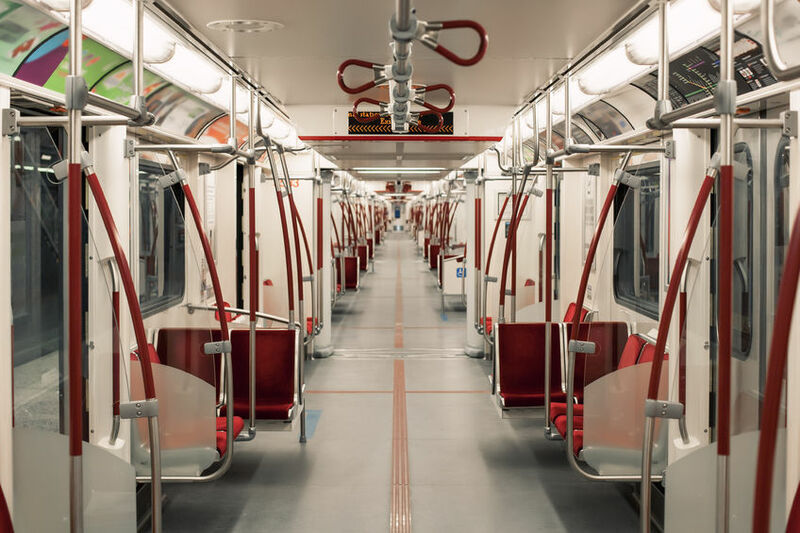 But you must not sit around all day – You must set a routine for exercise as suggested above and do some walking and socialise where you can sit ergonomically without causing undue physical stress. You may not notice undoing healthy processes but those disc will tell you later in the day. Don’t over medicate. 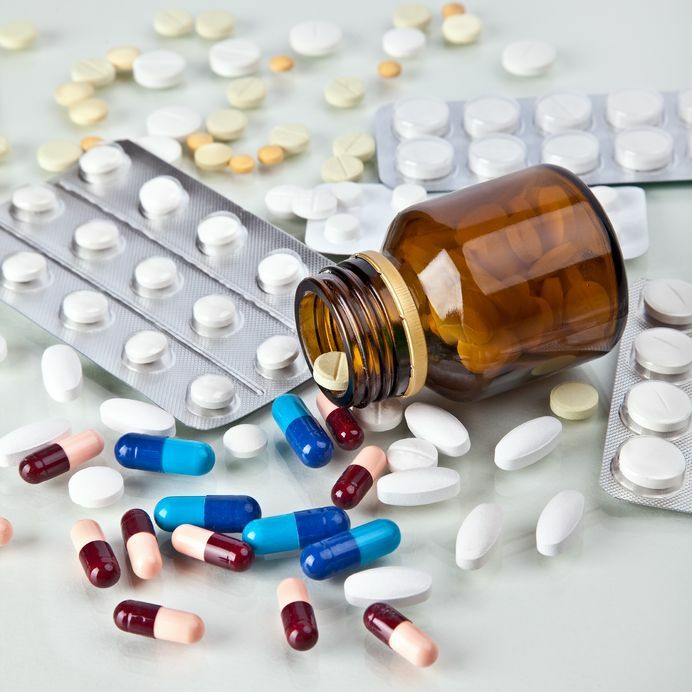 Your body will get used to pain killers and you will require more and more. ALL PAINKILLERS are addictive because their associate to neuro receptor shutdown. If you become addicted, its your own fault not your pain, your doctor or condition. Do an online pain meditation course. Even if you have to pay to get really good teaching its worth having that skill for the rest of your life. Practice this every day because it adds to routine where work or lack thereof won’t. Whoever overseas you medical condition stay in touch but be sensible about recovery time. It’s not going to be forever unless you are an idiot and don’t care about how you deal with herniations. Surgery wont fix your problem it’s likely to make your quality of life far worse because recovery is extensive and very expensive. And a few herniated disc are nothing compared to bone deterioration and nerve damage. You aren’t too far gone. Thanks for your question Kabeer. From my point of view, the exercises don’t make sense as you go in one direction or another. Perhaps they have a different diagnosis and are not relying on the MRI as MRIs are often not correlated with pain. I cannot give you exercises as it may not be a disc herniation. Why would your physio give you contradictory exercises otherwise? I would have to examine you first to make further comment. Hope you get the help that you need for your cervical disc herniation. Dr i have cervical spondylosis.small disc bulges c3 c4 c5 c6.doctors say i should not worry.my problem is pain at the base of the skull. Is it because of the disc bulges? I had a head injury before my neck pain and base of skull pain.i have a little tingling in my left index finger.traps musle ache a lot of times.upper back spasms.what exercise should i do most? I am doing chin tucks. Stretching and isometric exercise to strengthen neck.still in pain for 5 months now. Thanks for your question Onil. 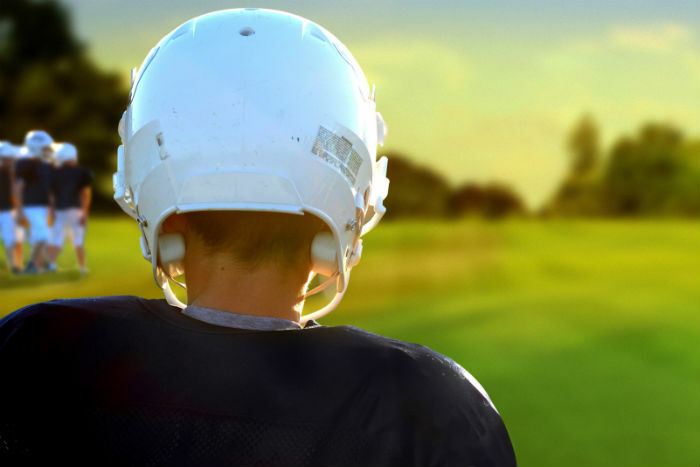 It is possible that the problem at the base of the skull is due to the disc bulges but aggravating factors such as prior accidents and posture can play a part. Try the first exercise on a regular basis (1 set of 10 every 2 hours) and see how you feel. If you feel worse then you need to stop. It may be better if you hold the exercises in a static position for 30 seconds up to 2 minutes. Try the exercises the way it’s shown in this article. If there is no relief but you aren’t worse then try the holding it in a static position as described above. Hope that helps your cervical disc herniation. If you have any questions for this chiropractor from downtown Toronto I will do my best to answer your question. I have herniated c7 and experiencing left arm nerve pain and pointer finger numbness and middle finger and top of hand numbness. I ruptured during my sleep 5 weeks ago and have had 2 steroid injections due to the severity of the inital pain. My pain is aching now and numbness of the fingers and hand and weakness of the arm (this has improved and I have about 40% movement) I also suffer from vistibular migraines for the last 4 years and always have a stiff neck. I am trying to avoid a fusion, any suggestions would be greatly appreciated. Thanks for your question Suzbroadrick or “S” as you like to be called. 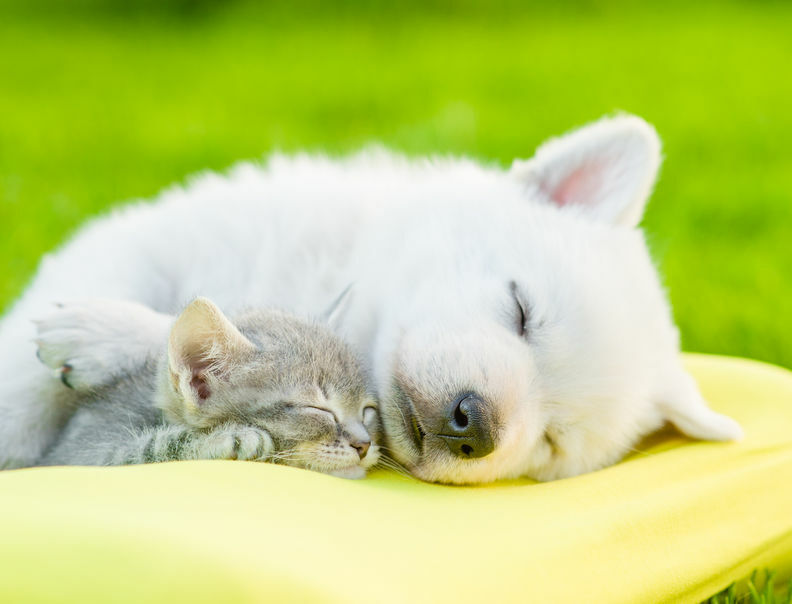 You can try the first exercise here in this article while lying down. That will usually be helpful however there is a chance that it will make you worse. You will know if you are worse if the pain goes further down the arm, or becomes more intense. Don’t use numbness as a guide as it can be misleading. If the pain becomes more intense in the neck and less intense in the arm then you are getting better as the problem is centralizing. Having said all this you should not do these exercises without the guide of a professional who can examine you. An MRI is not a diagnosis and there are other reasons for this type of pain. Hope that helps your cervical disc herniation. If you have any more questions I would be happy to give you another opinion. My two fingers were going numb in my right hand and then I couldn’t roll over on my right side due to arm pain and tingling. I had an MRI and I have a herniated disc in c6/c7 with mild nerve impingement at the nerve root. There are other herniations at c3/4 wihtout nerve compression and protruding disc at c2. This all started labour day weekend. What is the healing time for this and what are the best exercises/treatment? Pain in arm feels like a vice grip (forearm/elbow and tricep). Sometimes pain is shooting pain and then tingling. I cannot lie on my back as my right arm goes numb. Thank you for your expertise. Thanks for your question Dana. Healing time? It’s not a matter of healing. It’s a matter of doing the right exercises and having the right posture. If you don’t do either it will hang around. However, sometimes it will spontaneously get better. For most though the above recommendations stand. It’s like asking how long will take to get tomatoes off my tomato plants. Well if you don’t water it and put the seed in poor soil nothing happens. If you water it and put the seeds in good soil perhaps fertilize it you will likely get tomatoes. You can try to do the retractions (the first exercise) while lying down. If that makes you worse you will have to go see a professional. With your symptoms, I would go see someone that can examine you so they can give you specific exercises instead of generic exercises based limited information. We can’t possibly replicate a proper history and exam. The above is an opinion and not a recommendation. Hope that helps your cervical disc. If you have any more questions feel free to ask and I will do my best to answer. this is 2 weeks i am doing the exercise Step double chin exercise and Herniated Disc Part 2, i do those both exercise every 2 hour this is a problem to doing same time both exercise or no prob, after this 2 week i am start feeling more pain on my neck and back shoulder blades is this something wrong or what kind of sign of this. but still feeling vibrating on my arms some time.. Please doctor advice. Thanks for your question Waheed. Sounds like you are much better but not fully healed. Start with the first set of exercises. Doing 8 sets of 10 everday. After a few days get back to me. A doctor should not suggest surgery without having done conservative therapy. Hopefully, that was not the case. Hi…My i have neck pain and a very low pain in shoulder (not always , sometimes ). My Mri report says ” disc osteophyte complex is seen at c4-5 level causing mild neural foramina narrowing without spinal canal compromise ” . Can you explain me what is this..
How can i cure it…. Which exercise should i follow..
What precaution should i take….. Please give me your advise….. Thanks for your questions Shantanu. 1. What is this? The C45 disc osteophyte complex with mild neural foramina narrowing is simply the 4th and 5th vertebrae in your neck. There is a some wear and tear causing a spur or osteophyte which is is causing a little bit of narrowing where the nerve comes out between the vertebrae. 2. How can I cure it? If you have pain you can relieve the pain and make the pain go away but I can’t tell you how as you haven’t given me any symptoms. If you write in detail about what makes you worse, better, what position, time of day you are bad etc… I don’t know what the problem is as MRI reports are not a diagnosis. They are MRI reports. They often have no correlation with pain. I can tell you that many people over 50 would have that kind of MRI report with no symptoms. 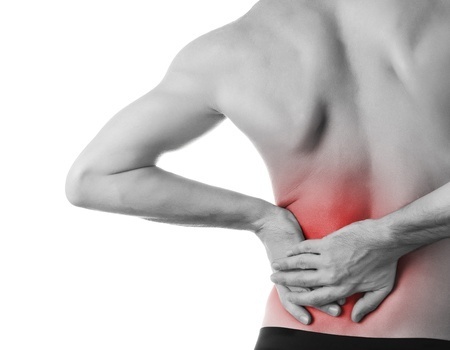 In fact 60% of 60 years old have disc herniations in their lower back with no symptoms. You will need to be much more detailed about your symptoms. Hello Sir, I am a medical student , 24 yrs old and I have been suffering from upper back pain since 6 months, it was insidious on onset and gradually progressive, in the beginning I had only upper back pain but gradually it radiated to the left arm, I also feel pain in the left leg, there is also weakness , tingling and numbness in my left arm and leg sometimes, the back pain aggravates on doing any work and also while sitting for a long time. I’m on medication for the past 6 months but there is no significant improvement, I did a MRI and there is a small central protrusion at c4/c5 level effacing ventral thecal sac without any neural foraminae compression. I’m also doing physiotherapy. Sir, what is the diagnosis that is causing the pain and how can I get better? Also my back pain is not in the midline but on the left of the spine and on the scapula , there is also tingling along with the pain over the scapula when ever I try to do some physical work. Thanks for your question Suhajit. My opinion is that is can be myelopathy which can be due to various causes but possibly from the disc in your neck. However, I have not examined you so it’s based on the limited amount of information that I have. Try the first exercise in this article. If the pain becomes worse or starts going further down the arm you are getting worse. If the pain or symptoms seem to go towards the centre you are getting better. Hope that helps your possible cervical disc herniation. If you have any more questions for this chiropractor in downtown Toronto I will do my best to give you a decent answer. The above is an opinion and not a recommendation. Thank you for your reply, my doctor also advised me to go for cervical traction along with other medications, I am taking all the medicines but not yet started the cervical traction, Will CERVICAL TRACTION really help in disc recovery? Thanks for your question Subhajit. If it is disc the medications will control symptoms, but do nothing to help the cause of the problem as it is a mechanical problem. If the problem was chemical such as an inflammatory condition medication can certainly help. However, you have to look at the source of inflammation such as diet in that case. A mechanical problem calls for a mechanical fix. Yes, traction may be helpful. Thank you very much, one more thing I wanted to ask you, does a mild herniated disc ,like in my case recover ? If yes how much time does it take approximately? At present I can’t lift heavy objects. I have been restricting my physical activities since 4 months. Thanks for your question Subhajit. If you mean to have no pain it can take a few days to a few months depending on your age, severity of the disc herniation, how you do the exercises ie. correctly or not correctly, the frequency of the exercises, previous neck problems, car accidents etc, etc… There are thousands of factors. However, the problem will likely reoccur at some point in your life. Hope that helps your possible cervical disc herniation. Myelopathy is an injury to the spinal cord due to severe compression that may result from trauma, congenital stenosis, degenerative disease or disc herniation. Hence if you have had a compression injury you’d know or remember. Its rather severe and crippling to point of hospitalisation and MRI or CT at least. But the category of disc herniation it is not always diagnosed as Myelopathy because crushing injury can be load impact or sport related over extension causing disc bulge or dislocation and nerve related issues. C6,7,8 are common back spinal nerve associated areas that will give you pain in upper limbs and associated scapular trapezius and neck stiffness, radiating pain and numbness. All due to the nerves not generally musculoskeletal issues. However ask yourself what can I associate to the condition I have? Is it lifestyle > balance exercise of limb use to whatever you do. Exercise meaning practising strengthening core muscle groups to help sustain whatever use you action those limbs to do. Doing nothing or minimal processes does nothing to improve the neural-pathways you are abusing and as you age so does the abuse. I will not for you that lacking exercise and abuse make muscles weaker because they get scarred from damage – its like looking at crossweave pattern – good fibres in the right direction and scarring crossing over. You have to exercise that scarring out by doing properly training with a sports medicine practitioner. And you’re not going to like their exercices, nobody truly like really hard work that is slow and rather putting it a little bit painful. Why is it painful? Because you removing or improving you fitness but also realigning that scarring and it hurts. But seriously it does work. You wont have that nuisance pain that comes and goes and you feel a heck of a lot better if you stick to the routine as you age. By the way, some people reading this may think this is just for young people. I was 53 when I herniated my back playing games with people half my age and recovery took well over a year of proper exercise and good habits of which are ongoing. You don’t stop. It changed me into a better person because I can tell you how to fix neuro issues have sourced the very best from professionals for so long but I can’t make you do it. I know the result is hard work but because I persisted, everyday is a good day in my world and you can make that yours as well. 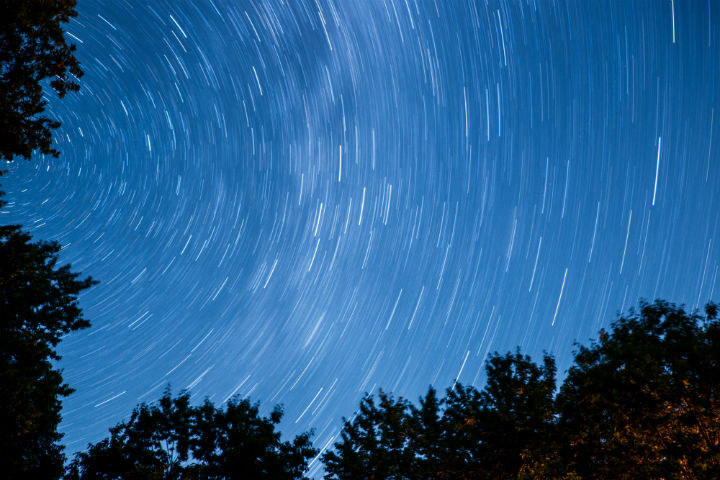 Have look at some of my other posts and think about the way you can engage whatever projection you have of the future. Changing the way you do things can open a whole lot a new things to the stale routine of lazy expectation. It is why you can pay professionals double what you’d pay an average practitioner. Real advice always requires effort. I’m an active participant at your popular herniated disc lower back page. I have lower back pinch nerve but my first injury is the upper back pinch nerve that radiates numbness and tingling to my left arm for couple weeks , 3 years ago. I always have bad posture and I’m a cyclist. I was assessed by physiotherapist forward head posture and rounded back. Thanks for your question Ras. 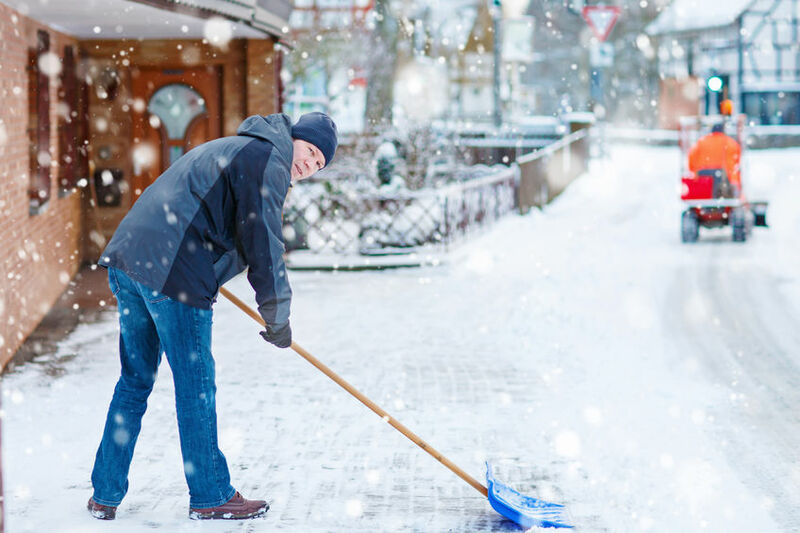 You try the first exercise in this article to see if it will help. If it makes you worse then you should stop right away. 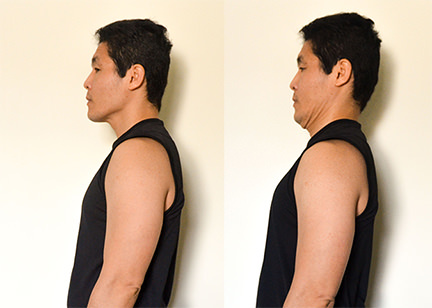 My chiropractor detected inflammation at the back of my neck, I mention to him about my forward head posture and this double chin exercise, he said this exercise will push the neck back and will make the inflammation worse. In other hand, my physiotherapist recommend me this exercise because I have stiff and short back neck as well as forward head posture,I also have rounded back and lower back bulging disc. I’m confused. Which one is right? As far I can tell, right now I can’t look down on my feet, its very stiff. In the past this exercise help reduce my neck pain. Is this double chin exercise bad for my neck curve just like the chiropractor said? Thanks for your question Ras. You will get worse with any exercise if there is inflammation. Try the exercise and if you get better the chiropractor is wrong. If you get worse than another direction might be needed or there is inflammation. Your physiotherapist will have to determine which direction. The idea is to find out if the problem is mechanical, inflammatory etc.. Based on the time frame there likely isn’t inflammation. Also if any manipulation or mobilization helped your neck than inflammation is not likely. 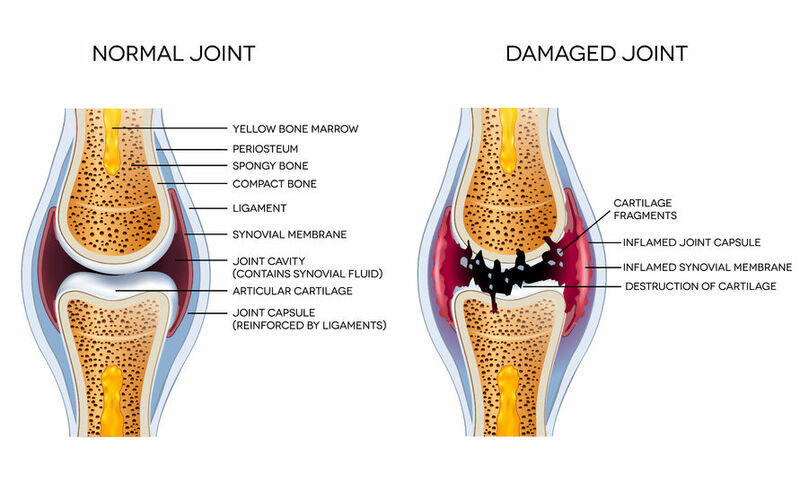 From what you have told me the inflammation story is doubtful but still possible as you may still have certain types of arthritis that can come and go and is low grade. Hope †hat helps your possible cervical disc herniation. My physiotherapist recommend I do the double chin exercise and for the streching is to move the head gently up and down gradually to increase range of motion because now it’s very stiff and I can’t see my feet. I also feel pain and tenderness at the back of the neck and the side as well. Tenderness at the back of the ear. My chiropractor mention it’s C5, and he recommend only moving the head up not down, moving head down will only make it worse. I’m confused with these 2 opposite recommendations. What’s your take on this? Ras, if the problem is a disc then both the chiropractor and physiotherapist are wrong. Most discs have a direction that makes them worse while usually, only one direction not two will make them better. You also need to find two people that can work together. Probably better if you see either a chiropractor or physiotherapist, not both. On the other hand, you can go to a clinic that has both a chiropractor and physiotherapist and see them both at that clinic. If they are giving you contradictory information try to reconcile it. Most practitioners in a clinic co-operate together for the better good of the patient not contradict each other. Overall it sounds like they are both not treating the disc. They are also not co-operating and instead contradicting each other possibly looking more after their interests to persuade you that they are the right person for you. I would switch to a clinic with both a PT and a chiro that co-operates. 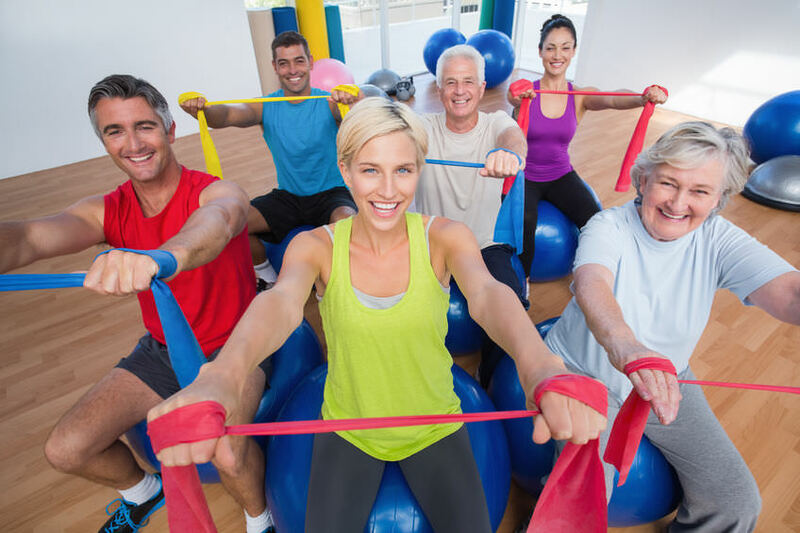 As for the direction of your exercises you likely need your exercise customized. I cannot do that for you. You need to find someone that can examine you and take a proper history. I cannot do that on this forum. Hi Doc. I’ve had lumbar disc problems for decades, so I know those pain patterns and exercises. My Pilates instructors, who are geniuses, working with me one on one have saved my life for 12 years. But what I have now is new to me. My Pilates instructor thinks it’s C7-T1. The pain runs around my right shoulder blade, Some shoulder and upper arm and sometimes down to my hand. It’s also very tender under my arm pit and along my intercostals. It’s debilitating. The first exercise above literally reduces the pain immediately. The second, though, is very painful. Should I take some muscle relaxant to steroid? Will that help knock this out? 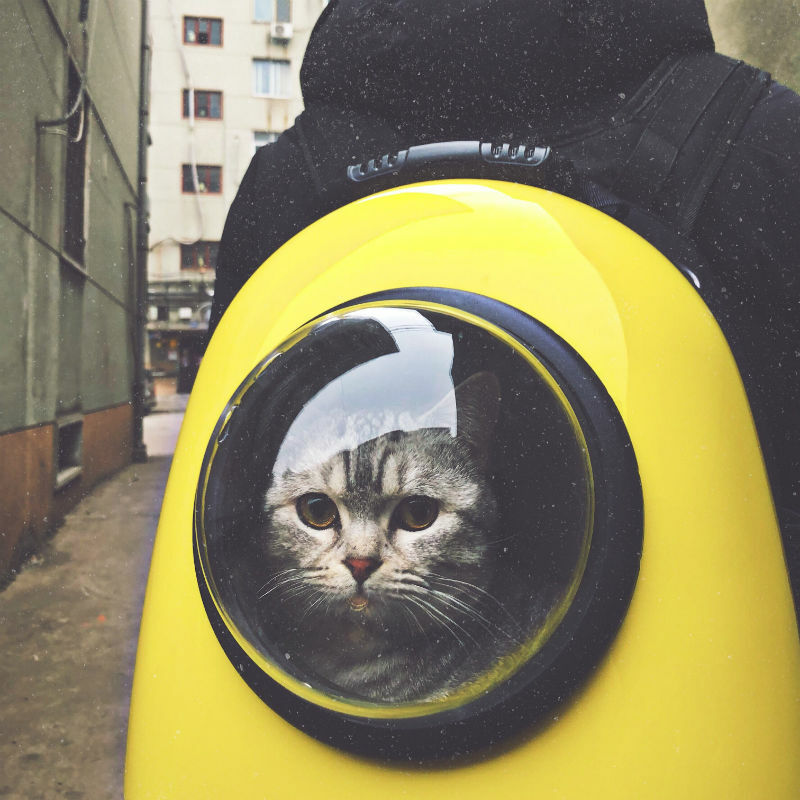 I’m going on vacation next week, and I’m really worried. Thanks for your question Robin. Work on doing the first exercise every day 8 times a day for 10 reps for a total of 80 repetitions. That should help decrease some of the tension. Pilates is great if you need rehab but rehab is not what you need at this point. Don’t do the other exercises. If the exercises make you worse you should stop. The above is an opinion and not a recommendation. You should go over the exercises with a health care practitioner familiar with your the exercises so you know you are doing them properly. Hope that helps your possible cervical disc herniation. If you have any more questions for this Toronto downtown chiropractor I will do my best to give you a great answer. At bedtime. So maybe it helped with the pain and if I stopped it, it will come back. Thanks for your question Ann. Chiropractors usually don’t treat sinuses or Eustachian Tube Dysfunction (ETD). That is outside the scope of chiropractic at least in North America and I believe in the UK. As for the chiropractor making you worse, it sounds like he made your worse from what you have told me. Again with such pain, the exercises here may make you worse or better but you will only know by trying. I would do any new exercises with the direction of someone familiar with the exercises. Either an another chiropractor or physiotherapist. Again they have to be familiar with the exercises. A medical doctor, in general, would not know the exercises. Hope that helps your cervical disc herniation. If you have any more questions for this Toronto downtown chiropractor I will do my best to help you. Keep in mind the above is an opinion and not a recommendation. I am 40 years of male diagnosed with C5-C6 spinal disc bulge and have pain in neck and right shoulder biceps since last 3 months. I’m taking anti inflatory medicines and painkiller. From last 2 days I found a knot on my throat at the side and I am now anxious that is it due to slipped disc effected my Thorat as well? Is slipped disc of cervical spine can be cured without surgery? I am having tingling and throbbing pain on my shoulder and right hands . No numbness but slight weekness in my hand. I am ok to wait to get recover from physiotherapy but not surgery. Could you please advice what should I do? I saw your comments on slipped disc or disc bulge and seems very relevant and helpful to users. Thanks for your question Praveen. You seem to too concerned about the possibility of surgery. I think you are asking the question to avoid surgery. 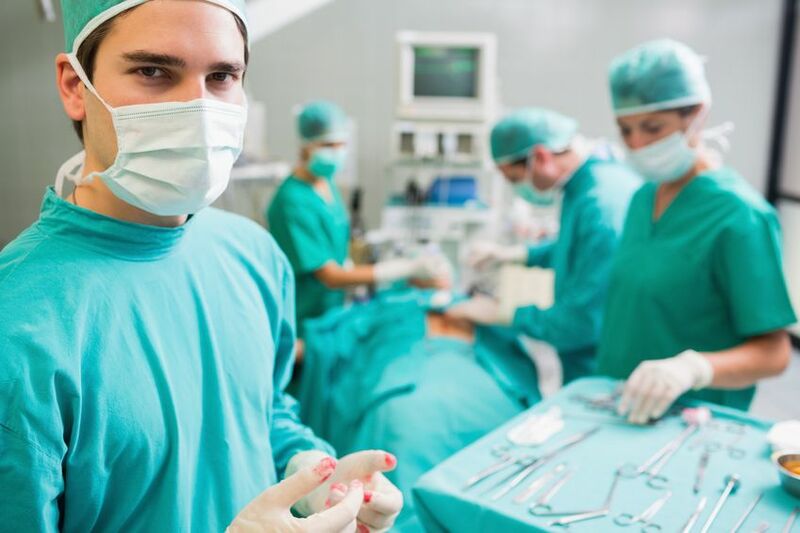 Rest assured that most people can avoid surgery. I would try the first exercise in this article while lying down face up to start. This is an opinion and not a recommendation. Hope that help your cervical disc herniation. I started improving my posture and mild stretching exercises. the pain has now moved to my neck and back which seems worse than the hand and wrist problems. my question is: could my posture and exercises be making me worse and should I stop ? I had various xrays of wrist and ultrasound of nerves to rule out most problems with my wrist or hand. It has been about a month between my first serious pain in wrists to the pain shifting to my neck/back. But still a bit confused wether I should ease off exercises or continue? Thanks for your question Darryl. Yes, if the pain moved from the wrist to the neck with neck and upper back exercises, even when the pain is worse in the neck and upper back, it means you are getting better. You should continue on with the exercises. Having said that I haven’t examined you. You run the risk that you are actually getting worse. This is is an opinion and not a recommendation. Hope that helps your cervical disc herniation. If you have any more questions for this downtown Toronto Chiropractor, I will do my best to give you a helpful answer. I have a strange one. When I tilt or turn my head to the left when looking straight ahead or upwards, after about 20-30 seconds I get a vibration/tingling that starts at both my clavicle (front) and shoulder blade (on the back), works it way to the top of the shoulder and then up the neck, affecting my left side jaw and behind the ear. If I continue to hold that position, it settles down after a minute or two and I only feel a slight tingle around the ear and cheek. Yet if I look down (chin to chest) and turn/tilt my head to the left, nothing; all is good. One would think if it was a disc issue, looking down would put the most pressure on the disc to if it was a herniation and I’d feel the most vibration, but it doesn’t. I also have zero pain, just a vibration/tingle. When I look in the mirror, I do notice that my trap muscle (neck to shoulder) is larger/higher on my left than on my right (been that way for a couple years). Could this be either a neck alignment issue or a tight sternocleidomastoideus muscle that is pinching/pressuring a nerve like the accessory nerves? Thanks for your question Darren. 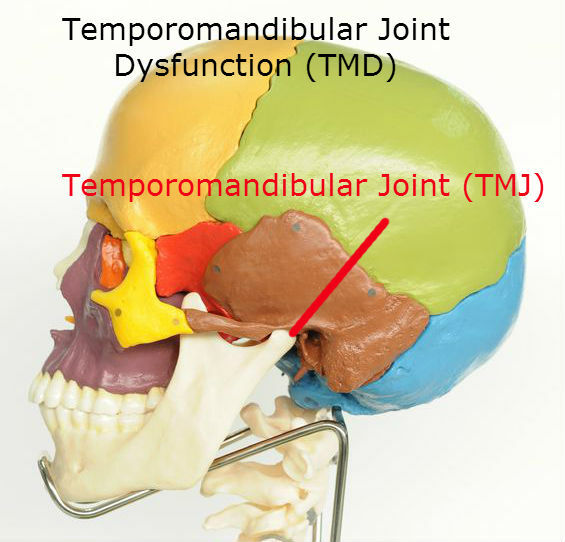 It sounds like it’s coming from the disc, pushing on the nerve causing your various symptoms due to the cervico-trigeminal complex. In fact, you can get other interesting symptoms including headaches and even facial pain. I would get this taken care of soon by your local chiropractor or physiotherapist. This is an opinion and not a recommendation. Hope that helps your possible cervical disc herniation. If you have any more questions for this downtown Toronto chiropractor I will do my best to give you a useful answer. Couple interesting things today. First, when I tilt my head to the left, all the same things occur. But if I lie down and prop my head with pillows (so my neck muscles aren’t being used to hold my head), no issues at all. So the tingling seems to happen when using my neck muscles. Second, my wife went to massage my shoulder and neck and noticed the shoulder with the issue is higher than my other and seems to be firmer when pushed on (like it is a large knot) and actually the shoulder blade seems to stick out more ( like a slight hump), yet my spine feels straight when she runs her hands down it (was worried about adult scoliosis as my teenage niece has scoliosis). I am 47 and have spent many hours a day for the last few years at a desk on a computer. My left shoulder (issue shoulder) rests on an armrest of the chair while my right shoulder isn’t supported as it is on a computer mouse. Thanks for your question Darren. It still looks like the disc. The disc can affect the muscles and nerves. Good luck seeing a professional for this situation. Thanks for your question Bill. The muscle will take a lot longer than your pain to get stronger. Usually doing the exercises will help. I would just try the first exercise in this article and see if that helps. If worse stop right away. If better keep going. 4 times a day. The problem is your job involves you aggravating your disc every day that you work. That’s just the nature of your work. You should also lift a small weigh† like 5 lbs to strengthen the muscle. 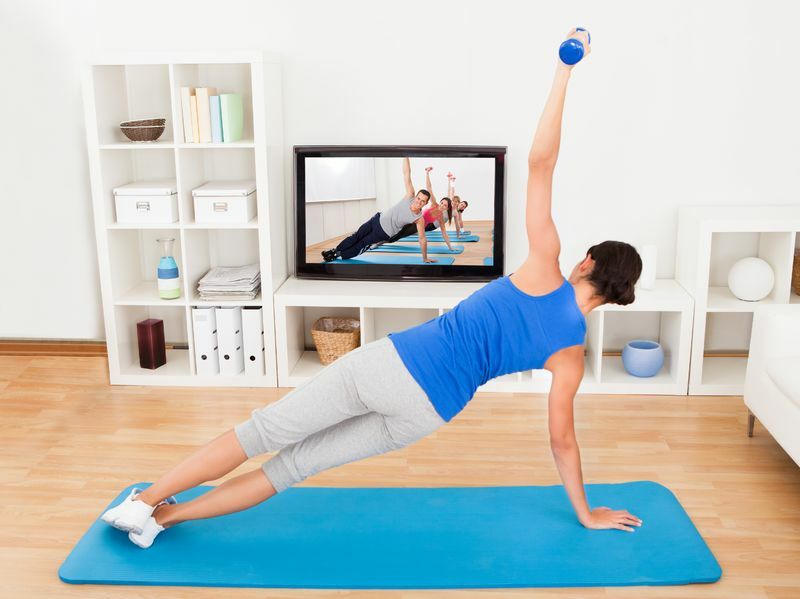 You should take the weight and raise your arm out to the side so that is horizontal. Do the same for shoulder flexion (forward) and extension (backwards). Do 3 sets of 15 in the morning and at night. 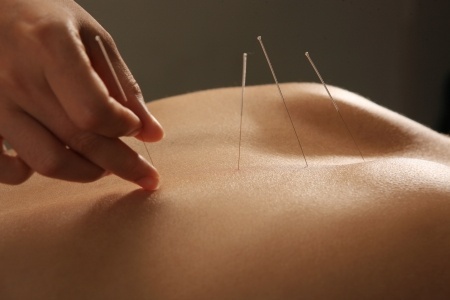 You should not feel any pain, numbness or tingling. Remember this is an opinion and not a recommendation. Also, keep in mind that you can get worse with these exercises so you should have someone that has examined you go through the exercises. Thanks for your question Bill. I think that this question is best answered by your physical therapist as they have examined. However, if that information is not forthcoming from your physiotherapist or physical therapist I am of the opinion that doing cervical extension retractions before and after each patient as well as keeping your chin tucked will help a great deal from a mechanical and practical point of view. Again your physiotherapist may have other ideas. I am Prakash, 45 years old, 2 years back I was suffering from neck pain and my symptoms were pain in my neck (right) side, radiating to right hand and pain in triceps running through middle and index finger. As per Dr. advise I underwent MRI scan and my report was; c6/c7 disc herination with pinched nerve and Dr advised me for surgery. As I was scared of surgery, I tried my level best neck exercises and OTC medicine, slowly my pain reduced and felt better within 3 months time. And even I started gym workouts (all types of weight training and cardio) and had no pain. Now my question is that whenever I feel sick either cold n flu or some infections I feel the pain in neck and triceps but not so severe as before, I am bit worried either my problem is completely cured or I am still with the same problem, Please advice. Thanks for your question Prakash. Sounds like your problem has improved and that there is very little pressure disc. 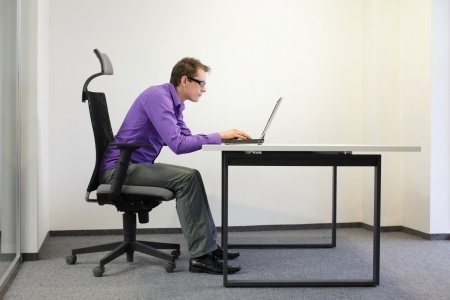 You should be vigilant with your posture and try make sure you get up every two hours from your sitting position. You should also try to do the first exercise 4 times a day until the day you have your neck cold and see if you have the pain. Keep in mind as with any other exercise that you can get worse. This is an opinion and not a recommendation. Hope that helps your cervical disc herniation. If you have any more questions this downtown Toronto chiropractor will do his best to give you an useful answer. Thanks for insigtful article. It was very hard to find a helpful article such as this, to ease my condition. Will these exercises ease my pain. What other things I may need to do/have? Thanks for your question Ravjiv. Yes, doing the exercises should be helpful. However, if the first one is irritating then try it lying down first. If it still makes you worse than you need to seek help from a good chiropractor in your local area. This is an opinion and not a recommendation. Hope that helps your diffuse disc bulge. If you have any more questions for this Toronto downtown chiropractor, I will try my best to give you a helpful answer. how long does it take a pinch nerve/ herniated disc to heal? Thanks for your question. That’s a good question. Some people heal spontaneously while others have it for years. If you do some therapy you will likely have a greater chance of healing. You have told me any symptoms so I can give you an opinion. I had suddenly pain and numbness in my left arm ,Then I showed myself to a orthopedic specialist . I had MRI that showed that there are fusion of C5,6 and Disc space between C5,4 is reduced with the reference of Orthopedic specialist. Dr. Prescribed me some medicines for one month and physiotherapy for 21 days and cervical coller during travelling and excessive work . 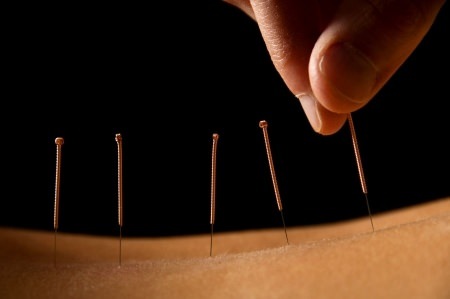 After having those, pain and numbness in my left arm became better. But I started to feel pain in my neck and shoulder specially when sitting without back support and watching TV or computer . After 8 months, I went to same doctor as neck and shoulder pain goes worse and he prescribed me some medicines and exercise for neck. It seems to me that regular exercise helps me to reduce pain. I am confused about my future, career due to the problem .My age is 28 yrs and I am a lecturer. I will be grateful to you if you advise me how can I have better solution ? Thanks for your question Nazim. It is unusual for a 28-year-old to have a fusion at that age. Most likely you were born with the fusion at C56 and that caused the early wear and tear at C45. Your orthopaedic specialist would know by looking at the X-ray or MRI results. The good news is that pain in the shoulder and neck means that you have improved from the time you had pain in the left arm with numbness. It really is up to the physiotherapist to decrease the pressure on the nerve. You can try these exercises but they may aggravate you as they will likely need to be customised to your unique situation. If they get you better than you don’t need to have any customised exercises. Hope that helps your cervical disc herniation. The above is an opinion and not a recommendation. If you have any more questions for this downtown Toronto chiropractor, I will try my best to give you a helpful answer. So glad I found this site. I’ve had left C6 radiculopathy for 2 months now and my provider is only interested in epidural injection. In prep for that, my inurance finally approved MRI which showed left 4mm herniation that hits the C6 root. I tried the chin tuck and extension exercises and they both cause pain in my neck where i assume the C6 is. Normally I don’t have neck pain, but rather pain from the left trapezius down to my thumb (it varies where along that line hurts–a numb thumb is pretty constant, then forearm in line with the thumb, then back of the arm/shoulder and trap. is there anther exercise to do if the chin tuck and head extension both increase pain? Home traction machine??? Thank you for this brilliantly explained article and how very nice of you to reply to all of the troubling questions. I started to get pain in my fingers up to my shoulder in February 2016 which progressively got worse along with numbness and tingling so I seeked advise from my relative who is an orthopaedic consultant (in spine) and he told me to get an MRI. they found a slight disc bulge in c56 area. My symptoms are R sided pain in thumb, forefinger and middle finger going up to the upper arm muscles and shoulder. And my R neck feels tight and nerve pain at times too but it feels much worse in shoulder down to fingers and arm. Heat makes it worse, anti-inflammatories help but doesn’t make it subside. I work as a dentist but find it makes it worse. I also find it difficult to get things from above my shoulder and I struggle to carry heavy bags without it causing pain in my neck and shoulder and upper arm muscles. I saw chiropractor and also physiotherapist privately a few times last year- they were concerned I might have a shoulder impingement whereas I recently saw a consultant physiotherapist on the NHS who didn’t think so. When I wasn’t working for a period of a few months my symptoms improved, although I never fully gained my strength back and still found carrying bags and reaching for things above my shoulder aggravated my nerve only when carrying out the actions but not thereafter. How would I know whether I’m getting pain from c5c6 protrusion or actually from a shoulder impingement (causing neck stiffness too)? Is there a way to know the difference? I was told to get an ultrasound- is this the only way or can I have physical examination carried out to know the difference? Secondly, how common is it for dentists to have this type of problem? and what is long term career prognosis? I’m 28 so just starting up! Thirdly, what is your opinion on steroid injections? I’m very anti medication but I’ve got a flare up again and anti inflammatories and exercises don’t seem to work. Lastly, What is the long term prevention/ self treatment? Is it daily neck exercises or do I need something more like Pilates? Thanks for your question Aneer. It is common for dentists to have neck, upper back pain and headaches. I treat a number of dentists. First, the pain in the thumb, forefinger and middle finger and upper arm and shoulder indicate that the problem is coming from the neck. It is very common for health practitioners to treat the shoulder when the problem is the neck. (Kind of disturbing) While the distribution of the pain is the most obvious factor a neurological exam although likely to be negative can confirm it. In your case, your MRI correlates with your symptoms. A C6 nerve pinched by the C56 disc is the most likely cause. You only have a slight bulge because MRI’s do not correlate with reality. In reality, you have not said so, but flexion of your neck will likely increase your pain or other symptoms like numbness or tingling. When you bend your neck forward this increases the pressure on the disc, increasing the pressure on the nerve. Even if you don’t find an immediate effect you can have worsening that takes place over time. This is essentially what you told me when you took a break from dentistry for a few months and your symptoms improved. You need to reduce the disc herniation in your neck. Start by doing the first exercise while lying down on your back. I would see the consultant physiotherapist as he/she seems to be most on the ball. Please keep in mind that this is an opinion and not a recommendation as I have not examined you. Hope that helps your apparent cervical disc herniation. Thank you so much for your thorough and prompt reply and thanks for your great articles. You are welcome Aneer. If you have any more questions for this downtown Toronto chiropractor I will do my best to give you a helpful answer. Hi Dr. Nakamura, I have a herniated disc in C5 C6 region how do I know that I am healing? I haven’t had an MRI but all the research shows that I have a problem between the C5 C6 due to the symptoms. It’s been about 6 weeks since I noticed the pain. Its been about 4 weeks since I stopped working. The pain is more bearable now and seems to be getting better with more neck movement, but I am concerned it’s a false sense of healing.I am a Painter- a lot of repetitive movement. So how do I know it’s healing? Hi Dr. Nakamura, my question is if I have a herniated disc in C5 C6 region how do I know that I am healing? I haven’t had an MRI but all the research shows that I have a problem between the C5 C6 due to the symptoms. It’s been about 6 weeks since I noticed the pain. Its been about 4 weeks since I stopped working. The pain is more bearable now and seems to be getting better with more neck movement, but I am concerned it’s a false sense of healing.I am a Painter- a lot of repetitive movement. So how do I know it’s healing? Thanks for your question Craig. That’s a great question. 1. The intensity of your pain: If it is less you are getting better. 2. Frequency: Has your pain become more intermittent, than you are getting better. 3. Location: If your pain is now further down into the hand you are getting worse if the pain is closer to your neck you are getting better. 4. Functional: If you can do more like get up from a lying position to sitting that was painful before but is no longer painful you are getting better. 5. Movement: If you can move your neck or arm more you are getting better. If you had pain while you are moving your arm but now only get the pain at the end of the motion you are also getting better. However, you should do exercises to help it. You can do these here but they should be supervised by a health practitioner like a chiropractor to help you do them. Otherwise, you can get worse with the exercises. This is an opinion and not a recommendation. Hope that helps your possible disc herniation. If you have any more questions this downtown Toronto chiropractor will do his best to help you. Thanks for your comments Charmaine. If the double chin exercises help and keep helping just keep going with them. If you stop improving, then you need to press your chin with your hand while doing the double chin to get more pressure. This is an opinion and not a recommendation. Hope that helps your cervical disc herniation. If you have any more questions for this downtown chiropractor I will do my best to answer your questions. Thank you so much Dr. Ken for your soothing advice. I have been advised to correct my posture while sitting to take care of the disc herniation. As far as the shooting pain in the forehead is concerned nothing has been found which is of any concern. Your encouraging & comforting suggestions are invaluable for all the visitors to this wonderful blog. Thank you for rendering such a nice service to the humanity. Thanks for your very nice comments Sunil. Hope that your cervical disc herniation gets well soon. Hi Doctor, I have a herniated disc (S1L5) and this is what’s happening to me. My right foot gets numb mostly when i’m standing or walking, sometimes even when i’m sitting. My calves muscles and hamstrings start to feel a bit tight and it does hurt a lot sometimes not regularly tho. I like working out but i’m being very careful after being diagnosed with this problem, not lifting heavy weights at all. My MRI report also says that i have straightening of lumbar spine. As for my history, no trauma but i’ve always been walking with a bad posture and my left foot is sort of flat (not completely but different from my right foot). Doctors already told me that this thing is for life, so is there anything i can do to improve my condition and workout properly as i used to. You can try these exercises Fawad but this is just my opinion and not a recommendation. You know you are getting worse if the pain increases afterwards or starts going further down the leg. Most likely the cobra will make you worse. Hope that helps your lumbar herniated disc at L5S1. I have been diagnosed with C5/C6 herniated disk. That is punching the nerve that is causing numbness in my right thumb. Thais has been going on since Christmas of last year. An MRI showed the herniated disk pushing on the nerve, with bone spurs present in the area. I’ve been doing physical therapy for about 3 weeks. Since this ordeal has started I’ve been on all types of pain meds (currently only taking during PT days) and a epileptic med to control the nerve. I’m waiting for my surgery date. I’ve been gaining weight with the bed rest and pills. I’m able to walk and my right arm has gotten stronger since starting physical therapy. I know I can’t lift weights and sit-ups are out of the question. Is there any other way to workout and get this weight off. Thanks for any advice. Thanks for your question Tina. If I were you I would go for a long brisk walk starting with 10 minutes and go to an hour a day. Keep in mind your arm movements as that may make things worse. I was recently diagnosed with c 6 degenerative discs and bone spurs. I am a 49 year old fairly healthy/active female. I also have a constant sciatic nerve pain. Not enough to require bed rest, just uncomfortable. On my left side. Coincidently it’s the same side that is numb/tingly from the neck problem are there exercises I can do to alleviate the pain for both? And perhaps prevent more deterioration? Thanks for your question Charlene. Try the first exercises the retraction while you are sitting. Numbness and tingling are tricky as it won’t react like pain. So try to see if any pain in your neck gets worse or better. If worse stop the exercises. If better keep going. Numbness takes longer to respond in general. You will know if that is getting worse if the area of numbness grows or feels number. If you stop the exercises try the exercises while lying down on the floor or bed. People often get worse while sitting up but do better while lying down. If you want more concrete answers than go see the best local chiropractor in your area. Hope that help your C6 degenerative disc. Thanks for your question Lewi. Well, you haven’t told me what your symptoms are other than the fact you can’t sit or lay down without pain. Often the problem is a large disc that has put your neck into flexion but you need to much more detailed with your symptoms. This is an opinion and not a recommendation. I had an MRI after trying to deal with sudden extreme pain in my upper back/neck and left shoulder with numbness and tingling down my left arm and fingers. I have a large herniation C5/C6 that is affecting the nerve root. (This has been about a month) While waiting for the neurologist to get back with me on a game plan, I have been taking oral steroids, muscle relaxers and pain medication. I would love to avoid surgery and don’t want to be dependent on pain meds. I did the excercises you have on here, and will continue. Is there anything else you would recommend? I have not had a good experience with one of the chiropractors and am reluctant to go back. The other docs also told me not to go. I would love to know of anything else I can do on my own to help this thing heal and be free of pain without medication! Some say rest, some say exercise (we are FitBit walkers) Thanks for your article–very helpful. Thanks for your question Sherri. First, it depends on the chiropractor that you see. A good chiropractor can help, a bad one will likely make you worse. The problem is telling them apart without experiencing them. Yes, walking and overall fitness are helpful. As for the exercises if they are helping you should continue. If they are making you worse then you should stop. You would be surprised how many people carry on while getting worse in the process. Also, you could try progressing the retraction exercises if they are not making you worse and you have plateaued at the moment. If the retraction exercises are making you better you should not progress the exercises. Try lying down and put your hand on your chin and use the pressure on your chin to do retractions. This must not make you worse after you are finished. It can be worse right after but if you are better overall after than it’s fine. This is a opinion and not a recommendation. Hope this helps your cervical disc herniation. Hi have a herniated disk c5/c6. Going on 4 months now and am able to do neck glides w very minimal pain. Have sore muscle pain in shoulder and at times nerve pain in my thumb only. Most of the pain is now centralizing on the injured disk. Pain is nothing like when this all 1st started. Still doing PT and chiro weekly. Including Acupancture once a month. When would you suggest I could start running, as I stopped after this incident? Thanks for your question Kathy. 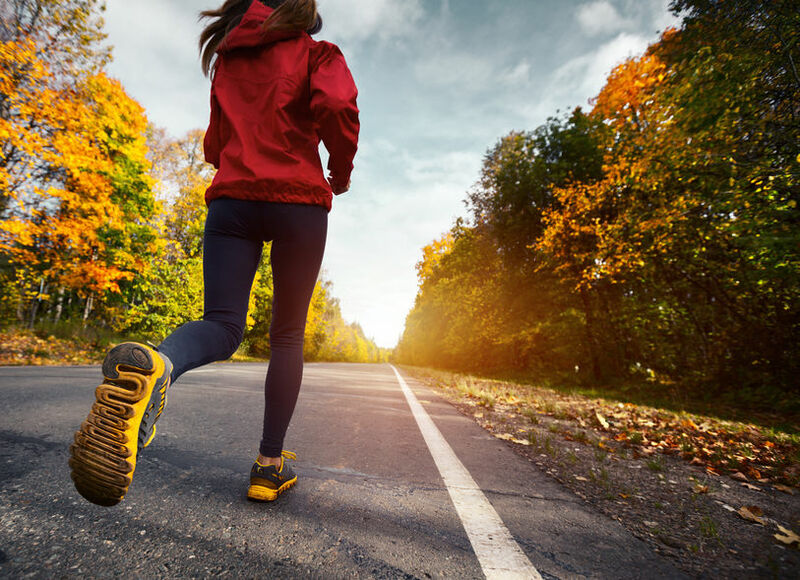 You should start by going for 10-minute walks, followed by fast walking providing you are no worse, then move an easy jog. It’s all a graduated process increasing the time you spend as you go on. Remember that you shouldn’t go on to the next stage if you are worse.You should start when while you still have pain by testing things out. Hope that helps your cervical disc herniation. Thanks for your question Karen. Either Physiotherapy or chiropractic will help. However, it is the skill of the chiropractor or physiotherapist and not the title that matters. There are bad chiropractors and there are bad physiotherapists as well as good one on either side. If you get a bad one they will likely make you worse, while a good one will likely make you better. By the way, most of the time the osteophytes have no correlation to the pain. If you think about it the pain decreased but your osteophytes were still there. 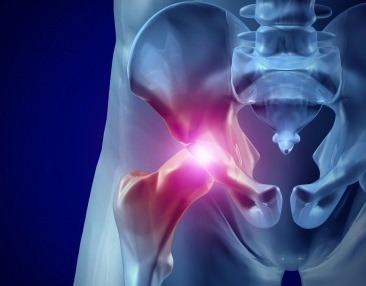 Your pain increased but your osteophytes did not grow in that short period of time. While it’s possible it is the osteophytes it’s not very likely. Also, I have lots of patients with osteophytes at the C56. Their pain goes away with treatment. That means the osteophytes which are still there isn’t the cause. I am female 18 years and my Mri report stated that i have left paracentral in c5-6 level . Before i had a Neck and shoulder pain but now there is radiating pain in my left hand. Please advice what are the treatments available to cure it. Thanks for your question Shivani. You need to write a lot more about your symptoms before I can properly comment. Imagine going to your medical doctor and that’s all the information you give him/her. Give me all the information about the pain or I cannot comment. Hope you understand I need much more information before commenting about any possible cervical disc herniation or any other diagnosis. On 16th this month i woke up with a pain in my left side of neck . Next day the pain became severe and it travelled to my left arm. I am not able to lie down since then in any posture because as soon as i lie down, the muscles pain becomes more worse. I went for pain killers for two days. It did not help . I consulted a Ortho doctor and he adviced for a cervical xray .The x ray report says ‘ Disc Space is decreased between C5-C6 Vertebrae’. The doctor gave me medicines for 7 days and adviced physiotherapy . On that day itself i went for a physiotherapy . There they kept some hot liquid filled pillow on my shoulder . Then they applied some cold spray via electrode around 10 minutes . The physiotherapy caused me a burn in my skin also above shoulder .some skin has come out and it has reddened that area. Although It gave me some relief but the pain is unbearable in whole left arm when i lie down. I never had any case before .It was all sudden on that morning. What should i do now Doctor as i am writing this message at morning 4 Indian timing .I could not sleep properly today also because of this unbearable pain .Please advive Sir . Thanks for your question Prateek. You need to find the best chiropractor or physiotherapist in your town as your pain is too severe for me to give you a good opinion on, as I cannot examine you. I had what i thought was a frozen shoulder for a couple of years and the pain would flare up from time to time. Finally a physiotherapist asked me to take an x ray and MRI of my neck and spine which showed a compression in C5/C6. I started physiotherapy for this recommended by the doctor and while the shoulder pain has eased a bit I have a constant tightening and pain in my neck and between my shoulder blades that I NEVER had before. Thanks for your question Camellia. While it’s not the normal finding when getting better people often find symptoms closer to the spine are increased while symptoms in the shoulder decrease. I would go back. The physiotherapist didn’t make you worse they made you better. It’s a matter of communication. The physiotherapist failed to communicate that this could help as a part of the treatment. Hope that helps your “C5/C6 disc compression” or possible C56 cervical disc herniation. Hello Dr. Ken ! The article is very informative. Your replies to many questions are very reassuring. Thanks for buildling confidence among the anxious advice seekers. 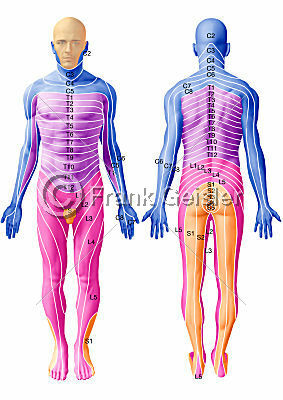 I have a disk protruding inside & touching the spinal chord in c3, c4 & c5. There is no cerebrospinal fluid seen where the disk is touching the spinal chord, while on the other 3 sides the CSF is surrounding the spinal chord very well. I am not experiencing any kind of pain. I hope the two exercises mentioned in this article would help me build space between the spinal chord & the vertebral disk. I was using thick & hard pillows, now I have shifted to soft & thinner pillow. I would be thankful to you for your kind advice on my condition & physiotherapy. Thanks for your question Sunil. You got the wrong idea. You don’t treat the MRI. You only treat a disc if it’s symptomatic. Otherwise, leave it alone. There is no such thing as a perfect MRI. Not one that I have ever seen and I have seen thousands. 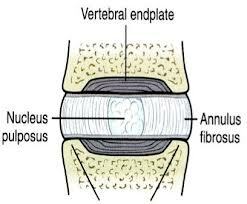 30% of 30 years old have a disc herniation with no pain and 60% of 60 years old have a disc herniation with no pain. Leave it alone. Don’t fear the MRI. 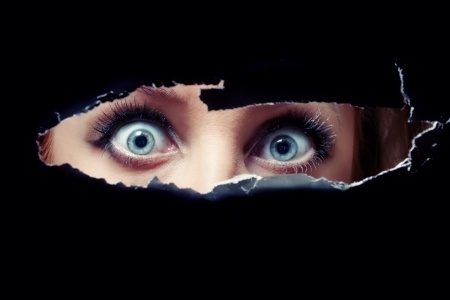 Fear the person that sent you for an MRI, if you had no symptoms, to begin with. Unless you went to get an MRI privately. Don’t do the exercises. Hope that clarifies things about cervical disc herniations. Thank you Dr. Ken for your encouraging response. Sunil, why did you get an MRI if you have no pain? I apologize for a delayed response Dr. Ken. I experienced a severe shooting pain in the forehead. A neurologist adviced me to get MRI done ASAP to rule out any serious complications. In addition to brain the MRI of spinal cord was also done where the disc herniation was observed. Your MRI results of a cervical disc herniation have nothing to do with your severe shoot pain. They are incidental to the pain in your forehead and so should not be treated. That’s my opinion and not a recommendation. You need to consult someone that can examine you to get a true opinion. I am going by the limited information you have given me. So in the end, my opinion doesn’t change. Don’t treat the MRI. Why don’t you consult the best chiropractor in town to see what the problem is? By now if there was something urgent in the brain on the MRI, you would have been treated by now. Hope that helps your likely asymptomatic cervical disc herniations. I have a small disc bulge in c3c4 and c4c5. I have no pain at all. My question is will the disc eventually herniated? What should I do to prevent it from getting worst. Thank you so much!! Thanks for your question Mourn. Technically they are all herniated since the term disc bulge, disc protrusion, disc extrusion and disc sequestration are all disc herniations. Not to worry though most people have disc herniations with no symptoms. If it is not bothering you first try not to worry so much. 2nd why are getting an MRI when you don’t need one. If this is the case your doctor is causing needless worry. In practice, I find everybody has “something” with an MRI as there is no “perfect” MRI. The only thing I would do is try to have good posture. Otherwise don’t look at your MRI, don’t think about your MRI and get on with your life. Thank you Dr. Ken. Very nice of you to take the time to answer my question. Thanks for nice comment Mourn. Good luck with your cervical disc herniation. I probably have a disc herniation in my lower back and possibly in my neck but I am not particularly concerned. I have pain on the left side of my neck and into my left shoulder blade. The pain radiates down my left arm, especially on the outside of the arm. The worst spot seems to be on the lower arm about halfway between the wrist and elbow where it almost feels like a bone bruise. The arm pain depends greatly on the angle I am currently holding my arm as it is worse at some angles than others. If I bend my neck to the left and try to touch my cheek to my left shoulder the pain gets worse. 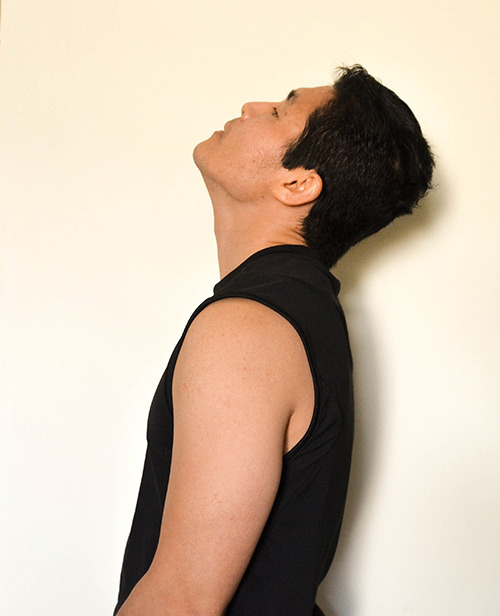 If I bend to the right and touch my right cheek to my right shoulder it does not affect the pain, I simply feel the stretch in the muscles to the left side of my neck. These seem to be classic symptoms of a herniated disc. Any opinions based on this? Thanks for your question Joe. Likely a cervical disc herniation but not guaranteed. If you are older like 60 it can be lateral foraminal stenosis. I would try the exercises while laying down on your back. I would only do the first exercise, though. That’s my opinion and not a recommendation. Keep in mind it would be easy to make yourself worse as your pain is going pretty far down the arm. I think a better bet for you would be to find the best chiropractor or physiotherapist in your area. You would likely do much better due to the serious nature of your problem. This is an opinion and not a recommendation. Thank you for your opinion and I do realize that you cannot do anything more than have an opinion at a distance like this. I should have mentioned that previously that I am 50 years old. Joe, your pain is likely due to a disc herniation then. I have been having neck pain with numbness in my left arm and fingers and also am experiencing dizziness and head spin when I sleep facing the ceiling and looking down or up while sitting and standing. My MRI report says loss of lordotic curvature seen due to muscle spasm. 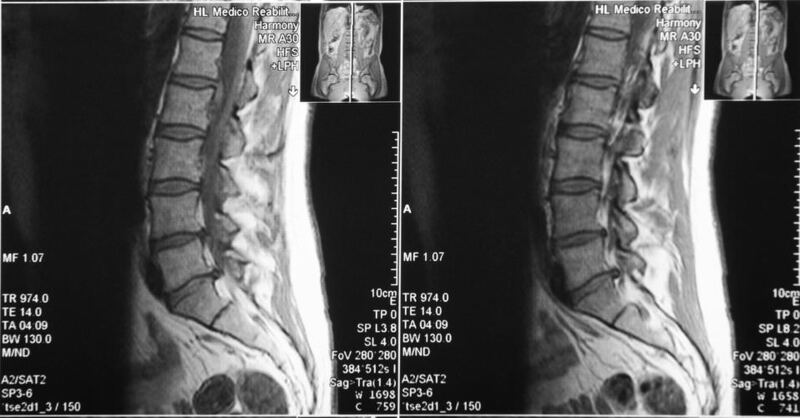 At C7/D1 level there is focal focal central and right paracentral disc bulge causing thecal indentation without significant foraminal narrowing or radiculopathy. Thanks for your question Manoj. Like most MRI your pain and numbness has nothing to do with the paracentral disc bulge. 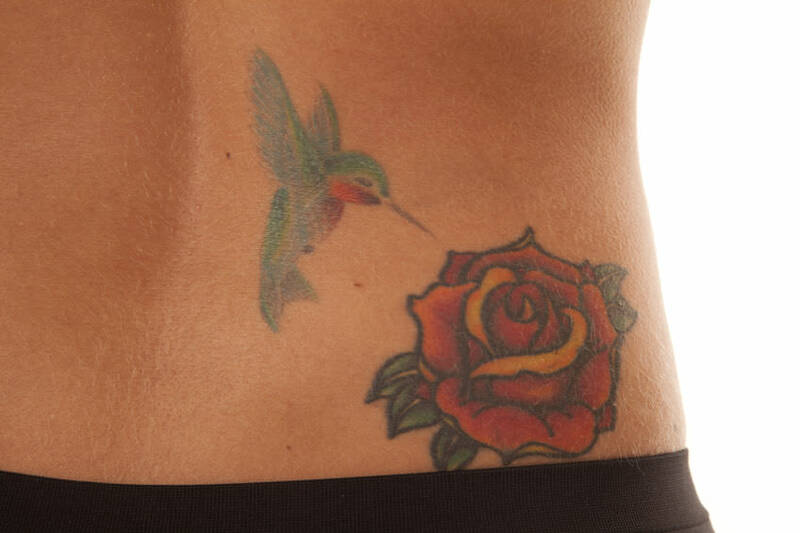 As you probably figured out the bulge is on the right and your pain is on the left. The MRI results are not relevant to your pain. You will have to figure it out with the best chiropractor in your neighbourhood. Good luck with your cervical disc herniation. I have immense back pain and posture problem. I can feel a gap between my c3 and c4 disks, and the c3 disk has been pushed out, while the c4 + disks are all pretty straight. Will these exercises help me? Thanks for your question Jonas. First, you may or may not have the right diagnosis. Even among professionals, self-diagnosis is tricky as you can’t be objective as it’s your body. Second, that is a relatively rare place to have a disc go out. Not that it doesn’t happen but it doesn’t happen as much, compared to lower down. Assuming your diagnosis is correct the exercises will be unlikely to help as these exercises are for the more common type of cervical disc herniations. hi i am male 30 years. my mri report sates the following The study reveal loss of usual cervical and lumbar lordotic curvatures. Partial disc desiccation with mild posterior disc bulge are seen at C-4 C-5 to C6-C7 levels indenting the thecal sac. Disc desiccation with diffuse disc bulge is seen at L5 -S1 level intending the thecal sac. Vertrebral bodies are normal in height alignment and marrow signal intensity with intact cortical margins…what hsould i do now. I am lawyer from india. Thanks for your question Piyush. First MRI is the least important part of making a diagnosis. 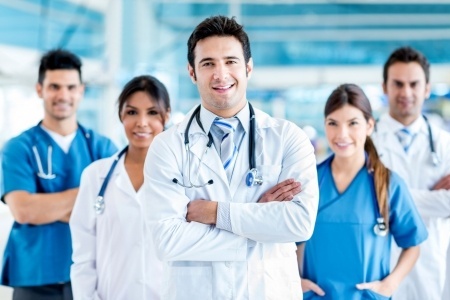 Diagnosis is made by history first, which narrows the examination, which gives you a diagnosis. Disc herniation diagnosis is not made by MRI. They are only confirmed by MRI. The vast majority of times it is clear from the history and exam so when it is clear you don’t need an MRI. You don’t tell me any symptoms so I can’t tell you anything, as 30% of 30 year old with no pain whatsoever have disc herniations. For all I know you may have no pain with that exact MRI above. Sorry I only answer questions here in the comments section. please advice me what to do in my situation. I did MRI and the results as following. Cervical dual sac ccompression by right posterolateral protruding disc between c5-c6 indenting the dural sac and encroaching and compressing the origin of the right side c6 nerve root . Diffuse bulging disk between c3-c4 and c6-c7 flattening the dual sac. I have sever pain sometimes it almost makes me cry . I’m on tramal just to be able to sleep . Physio seems not helping. I tried these exercises but I can’t do it because once I start doing it, I have pain in My neck and arm numbness in my fingers . is there anything else I can do to fix this ?? Thanks for your question Ahmed. You haven’t told me any symptoms except to say you have “neck and arm numbness in my fingers”. The MRI is secondary and your symptoms or your history is much more important followed by the examination. Goood luck with your cervical disc herniation. There is left postero-lateral disc extrusion involving C5-6 IV disc compressing the anterior thecal sac, effacing the anterior CSF fluid and narrowing the left neural foramina. there is also narrowing of the spinal canal (diameter measures approx 8.82cm). there is posterior disc bulge involving C3-4, C4-5 and 5-6 IV discs impinging the anterior thecal sac and effacing the anterior CSF. the spinal canal dimeter measures approx 0.79, 1.05 and 0.94cm respectively. there is loos of T2 signal of the IV discs s/o disc desiccation. Thanks for your question Anil. I can’t comment until you give me symptoms with explicit details of your pain. I would suggest you write a lot. The more you write and describe your pain the more likely I can give you a better answer. MRIs are not a diagnosis. From what you told me it sounds like your doctor didn’t do much of a history or exam which is actually how you diagnose. Maybe you can clarify this also. i have pain on my back shoulder blades and Arms also pumping my nerves on my hole arms, i have taking Maxgalin 75 capsules as per Doctor direction almost a month but my pain doesn’t go a way, also i am taking VIVERAN SR 75 because of pain, Please advice those medicine work very well or i have to change another medicine if yes please let me know best medicine for repair slip disc, i don’t want to take lots of pain killer i want to build my spin. please doctor advice very well, thank you for your response. Thanks for your question Anil. I am a doctor of chiropractic and not a medical doctor. This means that I don’t prescribe medication. I cannot comment on your medications as my training did not involve prescribing medication. I can say though that I haven’t heard of any medication fixing a disc herniation as it is mechanical. When a medication can push a disc back in physically then that is the day the medication will heal a disc. Most people if they get better it’s usually due to exercises, and posture. Some heal spontaneously when it isn’t severe and they put their neck in a position that reduces the herniation.